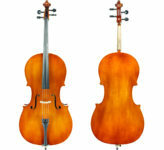 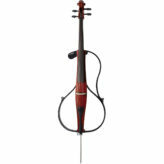 The Johann Edler cello is made by Lothar Semmlinger in Germany and finished in the United States. 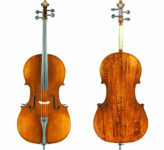 It is a highly flamed and stunning copy of a Carlo Antonio Testore of Milano Italy c. 1750. 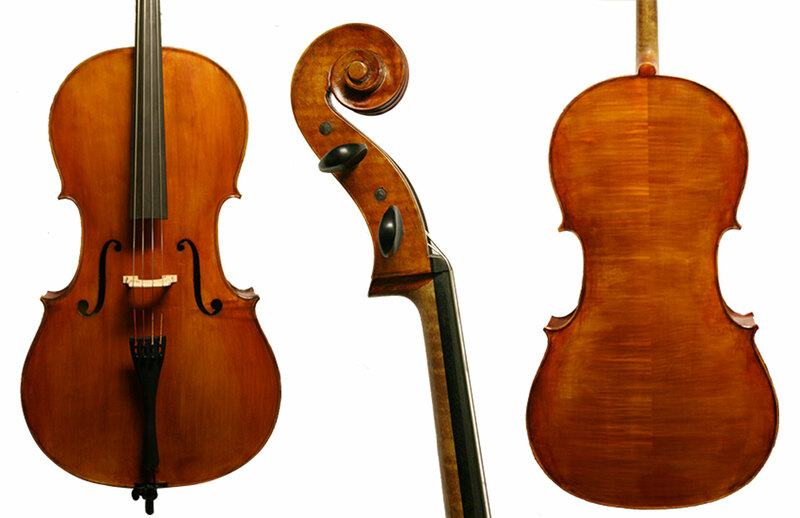 We generally them up with high quality ebony fittings and Larsen Solo (A and D) and Spirocore Tungsten (G and C) strings. These Johann Edler cellos have an unbelievably clear and powerful sound that often outshines cellos of much higher prices.